Look, I am one of those dorks who heads straight to the Yankee Candle at the outlet mall. Right now my favorite light-up jar is something called White Cocoa, which is perfect for these winter months and smells so heavenly I want to eat it. Those “Finger Lickin’ good vibes” are apparently part of the overall KFChill experience, which also includes the ambient sounds of frying chicken and simmering gravy, piped right through your computer’s speakers. 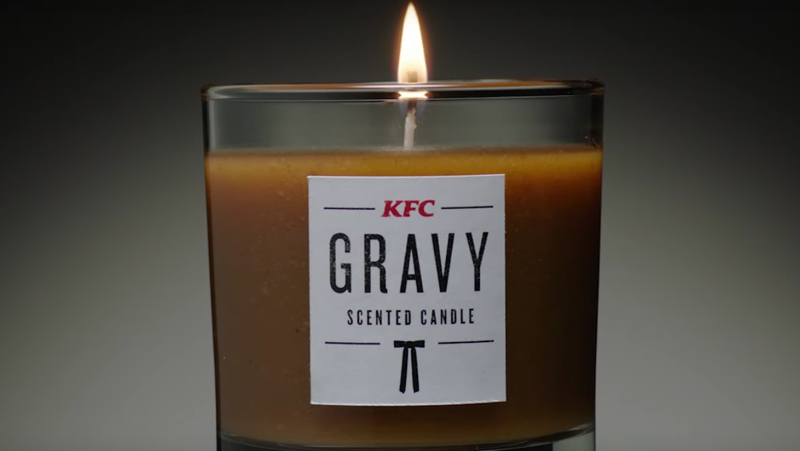 The thought of a five-sense, immersive fried chicken experience just makes us want to take a bath—one possibly augmented by the scent of the KFC Gravy candle, which continues in the line of other fast-food-scented candles like the A1 Steak Sauce candle, a french-fry candle, and the candle that smells like Chinese takeout. Do those count as self care as well?